Gabriele Marangoni gets a Degree with the highest grade in the Master of Advanced Studies in Contemporary Music Performance and Interpretation, under the guidance of M. Sergio Scappini at the Conservatory of Italian Switzerland of Lugano, previously he gets his Diploma in Accordion with a the highest grade at the Conservatory G. Verdi of Milan, he studies Experimental Composition with M. Dario Maggi, still at the Music Conservatory of Milan. He gets, at Turin University,the Degree in Science and Technology of Arts with Professor Ernesto Napolitano. He attended the classes of computing and musical composition with the help of electronic technologies at the centre of music research AGON in Milan. His works spread from experimental music for theater, from contemporary music for ensemble, soloist and orchestras, to highly technological projects, performances, electronic music and live sonic elaborations. His art expand to sound installations, video and performance, also in collaboration with some the greatest artists, performers and conductors. His works were presented in festivals such as Euro Scene Festival, Leipzig (Germany), Zoom Festival, Rijeka ( Croatia), Shangai International Experimental Theater Festival (China), World Performing and Visaula Arts Festival, Lahore (Pakistan), Off Frame Intenational Festival, Belgrade (Serbia), LongLake Festival, Lugano (Switzerland), Vie Festival, Modena (Italy), Festival Iberoamericano, Bogotà (Colombia), Intercity Festival, Florence (Italy). 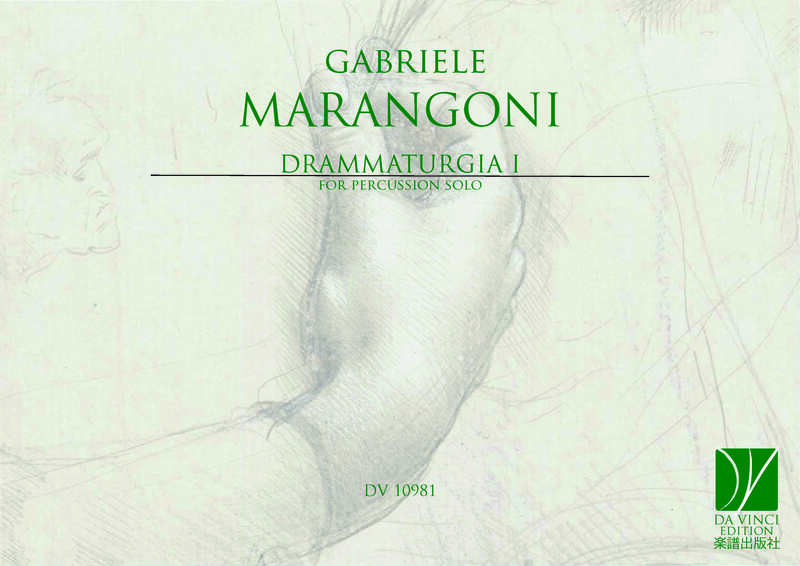 Among his works for ensemble with international tour: Birth(re)BoundBe, for 2 trombones, 2 percussionists, violin, viola, cello, double bass, conductor and crowd of 100 people; Round, for piano, percussion, 2 accordions and 4 sopranos, Diffraction#1 for accordion, viola, percussion, soprano, clarinet and electronics. His works and concerts were broadcasted in RSI (Italian Switzerland Radio), Radio Rai (Italian National Radio), Rai5 (Italian National television),TSI (Switzerland national television), Radio France. Some collaborations : Salvatore Sciarrino, VolksTheater (Wien), Mood Machine (Paris), Edgar Barroso (Harvard Music University), Zohner Arts Company (Zurich), National Theater (Prishtina). Aesthetic My thought is sound and with the sound can create chaos. The sound for me is a pure element, which allows you to reach a level of sensory communication, which once denied understanding, aseptic and superficial, the listener can explore their own paradigms of interpretation. Enjoy the chaos, enjoy the sound, also it means discovering weakness, take contact with the intimacy. The sound action, the time of execution, must be for those who take part (interpreters or public) a ritual, the confluence of all their energy, you have to pushing the limits and use the maximum of human potential. The trust to an ideal of chaos allows me to create moments that my spirit perceives like energy; emotional states that can be shared and that influence in some way the experience of life, life understood as both spiritual and material. In the chaos we have all the resources we need, in an order invisible but extremely accurate, the chaos not for me the casuality. This energy state attracts all my admiration and the sound is for me the key to get into it, discover it and live it.